Meet N’ Greet and Drifting Demos with Vaughn Gittin Jr.
Don’t forget to come out to Myrtle Beach Speedway on Wednesday July 16th to meet Vaughn Gittin Jr. and watch some drifting demos. 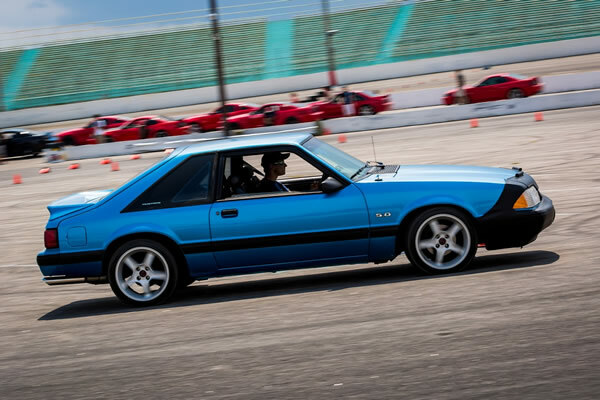 Register for the Mustang Week Autocross Driving School presented by BFGoodrich and hosted by Terry Earwood on July 15 by clicking the links below. Only 26 slots are available for each class so be sure to register early to secure your spot! Stage 1 will run from 10AM – 1PM and is a program offered to drivers new to auto crossing. Click here to register for Stage 1. Stage 2 will run from 2PM – 5PM and is a program offered to drivers who participated in last year’s training or have competed in sanctioned autocross events. Click here to register for Stage 2. It’s hard not to get excited by horsepower. The Battle at the Beach Dyno Challenge is taking place again this year at Mustang Week. This competition is all about checking out a variety of combinations from the real world. We see plenty of combos with project cars built by magazines and custom shops, but it’s great to see what real people are doing with their cars. Submit photos of your Mustang, along with a brief description to 5.0mailbag@sorc.com. 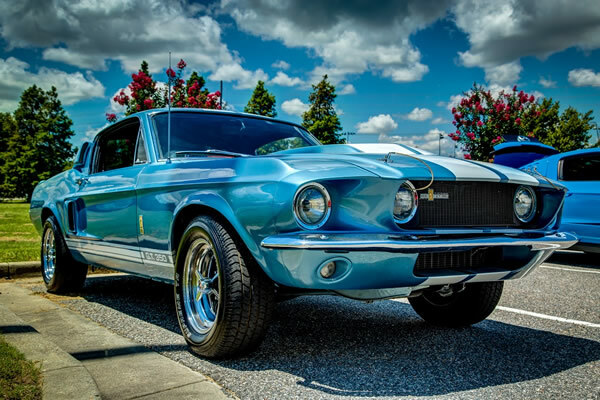 BFGoodrich presents Mustang Week Autocross Driving School hosted by Terry Earwood July 15. 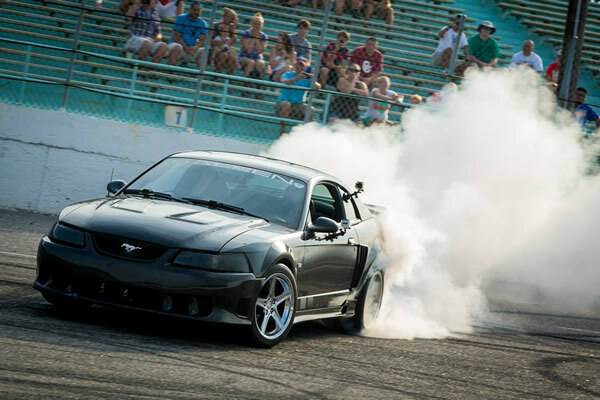 Gateway Classic Mustang presents the Mustang Week Autocross July 16. 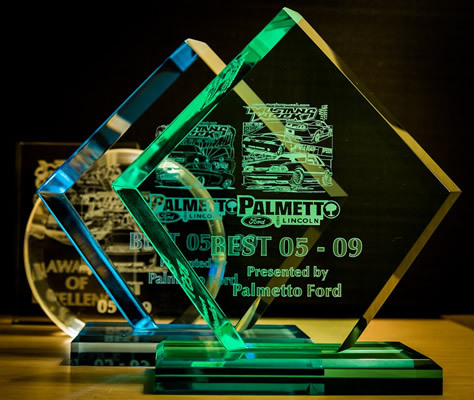 BFGoodrich invites you to attend Autocross School at Myrtle Beach Speedway Tuesday, July 15. Skip Barber lead Instructorfor 30 years, Terry Earwood, with his staff of highly experienced, professional drivers will teach students a variety of skills to lower lap times. A brief classroom session will be followed by a track walk. Drive time in your car will be the focus with our professional driver coaches riding in the right seat. The dates for next year’s Mustang Week have been announced. 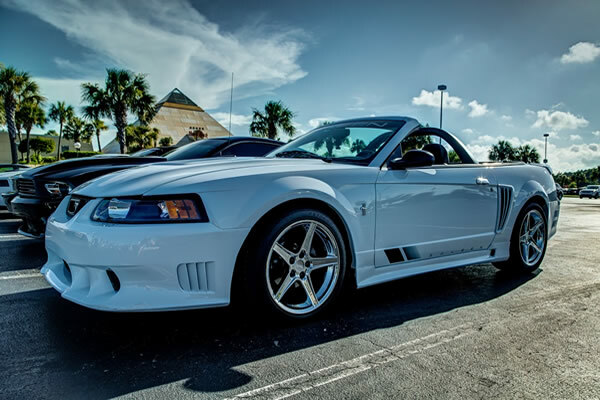 The 2014 Mustang Week will be July 14-20, 2014 in Myrtle Beach, SC. Schedule your vacation now! The Twelfth Annual Mustang Week was again an overwhelming success! The Mustang Week Staff would like to extend our most sincere thanks to everyone that has helped grow Mustang Week into the premier Mustang and SVT-based event of the year. We are constantly blown away as Mustang Week continues to steadily grow. Of course, none of this would have been possible without the help of the Mustang Week sponsors and participants. We are grateful for the support they continue to give. The Staff understands what it takes in this economy for people to attend a week-long event. Simply put, without you Mustang Week simply would not happen. We kicked the week off with Tuesday’s Meet-n-Greet at the Palace Theatre. Just over 600 cars were in attendance as Mustangs and SVTs filled every available parking space in a very short amount of time at the Palace. Overflow had to park in the grass area surrounding the event and into the adjacent Broadway at the Beach parking lots. The Meet-n-Greet event is always a crowd and Staff favorite. Folks lined up for the entire afternoon to be one of the first to get one of the highly anticipated yearly Mustang Week t-shirts! In addition to the Meet-n-Greet excitement, BFGoodrich Tires held an Autocross school in the infield at Myrtle Beach Speedway. Skip Barber Racing School Instructor, Terry Earwood, with his staff of highly experienced, professional drivers will taught students a variety of skills to lower lap times. Wednesday carried Mustang Week back to the Myrtle Beach Speedway for a day of ground-pounding fun. The excitement heated up quickly as the morning began and cars started pouring into the Speedway infield. This year’s redesigned parking configuration allowed us to run the infield Mobile Mod Center Autocross and the Stifflers Speedway Fun Runs simultaneously. 250+ cars took part and just over 1600 attendees watched all the excitement. After the Fun Runs and Autocross ended, the annual SVTPerformance.com Burnout Contest did not disappoint. And, as all of this wasn’t enough, many participants and spectators stuck around to enjoy the Speedway’s Wheels of Destruction Thrill Show. On Thursday, we ventured to Darlington International Dragway for the annual Mustang Week Dragnight. This event continues to grow in popularity and the numbers show it. 250+ cars participated and nearly 2000 spectators watched all the quarter-mile fun. The night was action packed! For a fourth year in a row, spectators filled the stands on both sides of the racetrack. The Darlington Dragway staff really stepped up their game and had the track ready to run soon after people started to arrive. Staging lanes were open all afternoon and evening and we have never seen them lined up so deep! The weathered held of this year and the lanes stayed open until nearly midnight. As always, Friday’s Car Show continues to amaze all in attendance. The “sold out” show field was filled to the 500 car maximum with some of the finest Mustangs and SVT’s to be found! Approximately 8,000 participants and attendees could also get a good look at all of the Mustang Week Sponsors and Vendors who were out in full-force. Our vendors and sponsors really revved it up this year. The Mustang Week Staff called on the help of Stangs-R-Us Mustang Club and Ponies In Paradise Mustang Club to quickly and efficiently park the show field. Their help was very valuable! Walking this show field gave spectators and participants a chance to see the best the Mustang community has to offer. This year we sent of the call for participants step up and volunteer as car show judges and a great group answered the call. With their help, judging was completed on schedule. In 2014 we will again be looking for judging volunteers and if you have prior judging experience, it will be your way to become more involved with Mustang Week. Saturday we closed the week with the annual Mustang Week Cruise-In. The Cruise-In is the largest gathering of Mustangs and SVT’s found on the east coast and the Twelth Anniversary of the event did not disappoint. Over 2500 cars and approximately 10,000 people quickly filled the show field and surrounding lots. Twisted Stallions Mustang Club and Full Throttle Car Club jumped in this year to help us with the parking and that was really appreciated. Several model-specific cruises added to the excitement. The annual Fox Body cruise, the SN95/New Edge cruise all gave participants the chance to roll into the Mustang Week Cruise-In in style. In the afternoon, hundreds gathered around the Mustang Week tent for the Car Show awards, the Mustang Week Raffle, and the Save-A-Fox raffle. Many deserving owners left smiling with a sought-after Mustang Week trophy while others left with an awesome raffle prize. The Twelfth Annual Mustang Week was again a total success. Thank you to everyone who attended and took part, especially the Mustang Week Sponsors, vendors and participants! We are already hard at work to make sure 2014 is off the charts. The Staff has really enjoyed watching the events grow over the past eleven years and look forward to seeing you all next July for the Thirteenth Annual Mustang Week!